Remarkably detailed Battra figure, sculpted by Takashi Saiwai. From the 1992 film Godzilla vs. Mothra. Measures a whopping 19 1/2-inches long x 12-inches tall! Don't look now, Godzilla fans, but the larva is back! This remarkably detailed Godzilla 1992 Battra Vinyl Figure - Previews Exclusive comes to you from the 1992 film Godzilla vs. Mothra, aka Godzilla and Mothra: The Battle for Earth. Sculpted by Takashi Saiwai, the colorful piece measures a whopping 19 1/2-inches long x 12-inches tall. 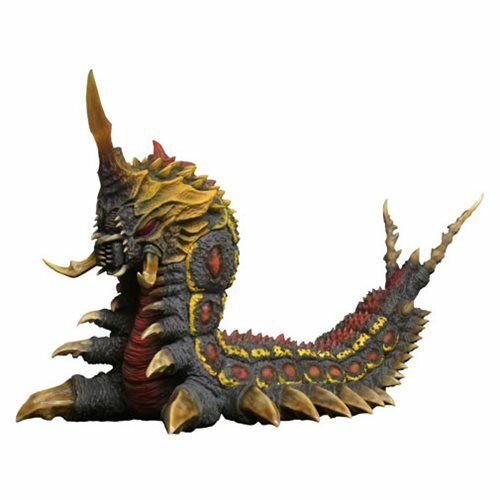 Add one of Godzilla's most iconic enemies to your collection today! Ages 15 and up.